Visit their website at www.BFTonline.org. PLEASE NOTE: Your car may be immobilized with a boot, and you may be fined $25 for parking in some lots in the vicinity of BFT! See this map for where NOT to park! 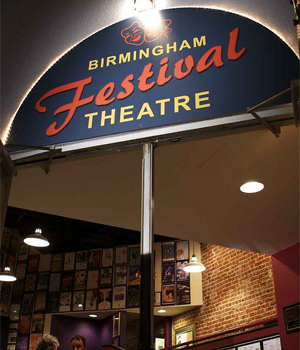 In the summer of 2008, the BFT Board of Directors worked with Extemporaneous Theatre Company to produce ETC's very first show. 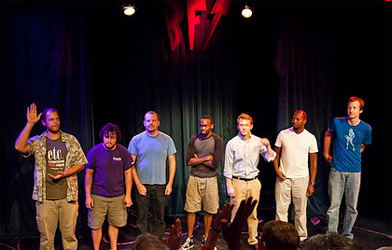 The short-form improv sensation "Project Codename: Vulcan's Underpants," an allusion to the Magic City's need to cover it's lack of live improv comedy, made its debut on August 23, 2008. 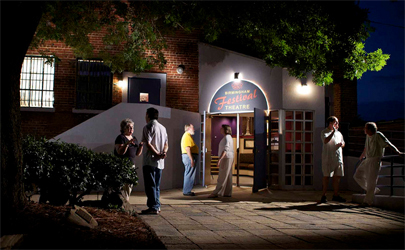 In 2009 ETC's Douglas O'Neil, Jr. christened the BFT stage as "The Larry Langford Memorial Stage" in honor of the felonious then-mayor's near-brawl during a Five Points Merchants Association meeting that was held at BFT on May 13. While the BFT Board of Directors has not condoned nor codified this designation, it is used whenever ETC performs upon the stage.